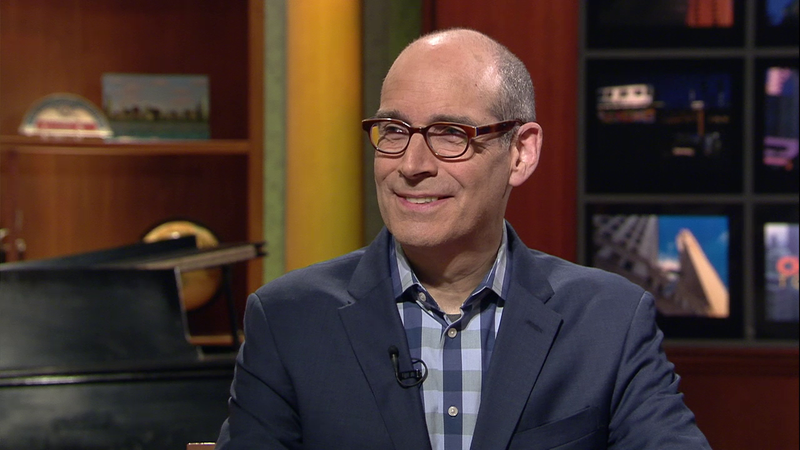 Geoffrey Baer visits a retro motel in River North, a towering turtle on the Near West Side and a vanishing South Side lake in this week's encore edition of Ask Geoffrey. Aside from the Ohio House Motel’s exterior architecture, are any pieces of '60s-'70s motel culture still there? Any 'magic fingers' beds? The Ohio House Motel is a motel straight out of another time right in the heart of River North at LaSalle and Ohio streets – you might recognize its retro diamond-shaped sign and matching roofline. The 50-room motel opened in 1960 and was designed by architects Shayman and Salk, who also designed several other Chicago motels in that era including many on the famed Lincoln Avenue strip of motels. A corner building houses the motel’s offices and a restaurant that for many years was the Ohio House Diner, which served no-frills coffee shop fare until it was replaced with an upscale fried chicken eatery two years ago. The motel rooms have been updated since the 1960s and now have modern amenities like flat-screen TVs and Wi-Fi – so no, the beds there do not have magic fingers. But the Ohio House is still retro where it counts – room rates are quite a bit less than many nearby hotels (although not all), and there’s even free parking! Back when the Ohio House Motel got its start, the River North neighborhood was a completely different place. At the turn of the 20th century it was known as “Smokey Hollow” because it was full of factories. Nearby areas were known as “Little Sicily” and “Little Hell” for the profusion of steel mills and a hellish gasworks. After the Depression, the factories emptied and the area deteriorated. When the motel opened in December 1960, the area was still pretty seedy, but in the 1970s and '80s, those empty brick industrial buildings attracted artists and art galleries, and gentrification quickly followed. Trendy restaurants and high-rises replaced the flophouses and pawn shops, and redevelopment plans threatened the motel. It was on the verge of demolition as recently as 2001 when a chain hotel eyed the site. According to Ohio House’s general manager Larry James, the development fizzled when it was determined that the site was unsuitable for a high-rise. James also mentioned that a lot of guests choose the Ohio House Motel for its retro style, which has helped keep it in business for lovers of 1960s architecture and budget travelers. By the way, if you’re gaga for the Googie style of the Ohio House Motel’s sign, here are a few of our favorite retro signs around Chicago. In the 1950s there was a giant lighted, Turtle Wax turtle on top of a building on Ashland Avenue. What building was it on? What happened to it? –Robert Wielgorecki, Beverly Shores, Ind. He’s right! For over a decade the 40-foot-tall Turtle Wax turtle perched on the pinnacle of a Romanesque-style building that housed the company headquarters at the intersection of Ashland, Ogden, and Madison. The top-hatted turtle rotated and his shell lit up with different colors to indicate the weather. The turtle was installed around 1956 and was taken down in the late ‘60s when the company moved headquarters. It was sold to an amusement park and the building was demolished not long after. Turtle Wax’s founder was a magician and aspiring chemist named Ben Hirsch. He originally named his liquid auto polish “Plastone” after concocting it in his bathtub in the 1930s; his wife, Marie, filled the bottles to sell. One of his sales ploys was to shine one fender of a parked car, then wait until the owner returned to marvel at the shiny fender and feel compelled to buy his product. According to company legend, the product was rechristened Turtle Wax Super Hard Shell in 1946. Hirsch was on a sales call in Turtle Creek, Wisconsin, when the idea for a catchy new name hit him – a wax that protects a car’s finish like a turtle’s shell. The company moved around to a few places in Chicago until they settled into the former Wendell State Bank building in the 1950s. Throughout the '50s and '60s, Hirsch tried to expand his brand with new products including shoe polish and floor wax. They even sold dessert toppings under the brand Party Day. Ben Hirsch died in 1966 and Marie Hirsch and their daughter, Sondra, took over the company. Sondra and her husband Denis Healy still run the company today, which is now headquartered in south suburban Willowbrook. Check out this 1940s Turtle Wax commercial. Who knew turtles talk like Jimmy Durante? I noticed on the U.S. Geological Survey historical map site that there was a lake at about 76th and Vincennes that was gone by 1901. There’s a small lake still in the area – is it the same lake? How large was it before? The small lake in that area today, (which is really more of a scenic, winding lagoon) is the centerpiece of one of Chicago’s most surprising hidden enclaves, Auburn Park. It extends on a diagonal between 77th and 79th streets a little west of the Dan Ryan in the Auburn Gresham neighborhood, a remnant of a long-lost body of water that was probably more like a swamp. Take a look at the 1889 map our viewer references. At the very bottom of the map you’ll see a wishbone-shaped body of water – and it’s a pretty big one, with each arm measuring at least two miles long. Below is the same area in 1900 – the water is almost entirely gone! All that’s left is a small lagoon labeled Auburn Park. So who pulled the plug? As is so often the story in Chicago’s history – it was real estate developers! According to the Chicago Park District’s Julia Bachrach, the large, low, marshy area seen on the 1889 map was first known as Cummorn. Cummorn originally flowed southward into the Calumet River. When the area was platted in 1872, real estate speculators drained the marsh to subdivide and build on the land. The lagoon was left as a reminder of the area’s swampy heritage. A later developer created Auburn Park to surround the lagoon, calling it the “beauty spot” of Auburn. To get a little more insight into the vanished wetland we talked to Chicago historian and cartographer Dennis McClendon. He pointed out that on the maps railroads and the streets run right through the water, which seems to confirm that it wasn’t actually a lake or pond but just a wet and marshy area. Dennis also said it’s a little odd that even Vincennes Avenue goes right through the middle of the pond, because Vincennes is what’s called an “esker trail,” which is a term for an old Indian trail following a high ridgeline above the wettest areas. So, he speculates the area was only impassably wet part of the year. The Auburn area was annexed to Chicago in 1889, and Auburn Park was made a public park about 20 years later.